Although the Lotus 78 was the car that pioneered ground effects aerodynamics, the Lotus 79 was the first F1 car to take full advantage. 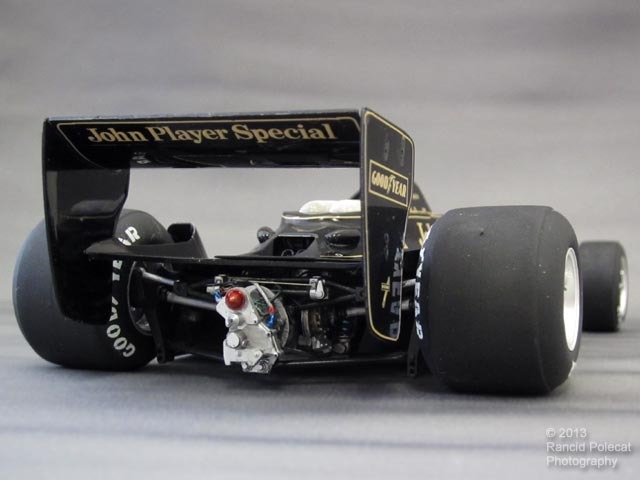 The Lotus 79 is generally credited with pushing Formula One racing into the aerodynamics era, and its influence is still keenly felt on today's modern F1 cars. The 79's design refined the 78's venturi tunnels, allowing the low pressure area beneath the car to be evenly spaced along the whole underside.The car produced about 30% more downforce than the 78, requiring that the monocoque and load bearing points on the chassis tub be strengthened.